We can orient your labels in one of four different directions on the roll, depending on your application needs. 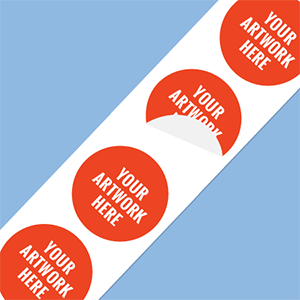 The lamination for our Glossy White, Clear, and Matte Labels are all ideal for indoor uses. Label bottles on your store shelves, or brand the packaging you use on your sales floor. Our custom product labels are printed in full color on polypropylene stock and coated with an indoor use laminate. 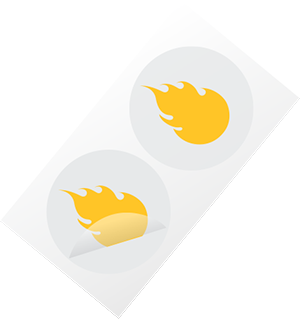 We have three primary custom label options that are perfect for product labeling; Glossy White, Matte, and Clear styles. All of our label styles will resist water and oils. Our Glossy White Labels help your products look (and sell) better than ever. These custom glossy labels are perfect for product labeling and will resist water and oils. Digitally printed in full color on white polypropylene with indoor use laminate. When you want to label your product, and make sure it still stands out, Clear Labels are an ideal option. Printed on a clear polypropylene, this label style works great for products of all kinds. They resist water and oils, and are finished with an indoor use glossy laminate. These custom labels have a satin-look finish, giving products a high end appearance, and offer an easy to write on surface. These labels are printed in full color on white polypropylene with an indoor use matte laminate. 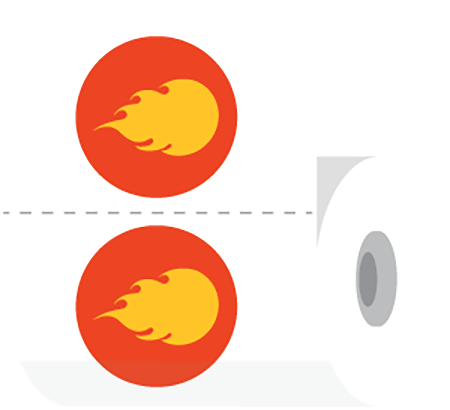 Our standard finish for labels is on rolls without perforations. This is most commonly preferred by our label customers, since so many labels are applied by machine. However, we can perforate your labels, just let us know when you make your order. If you need your labels perforated when they are printed, just let us know. 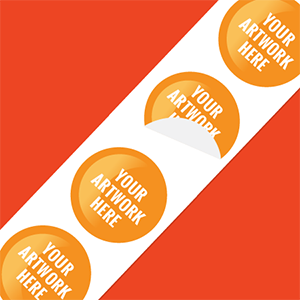 Your labels will be delivered on a roll, but with perforations in the backing between each label. 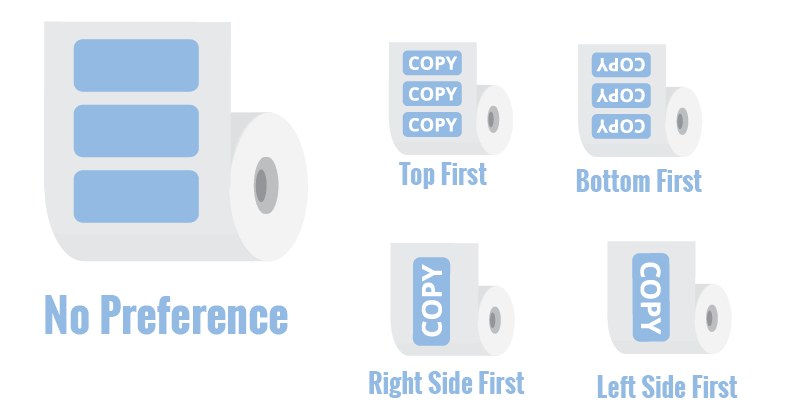 We can orient your product label on the roll in four different copy positions. Please use the below chart to determine which position will work for your label application needs and environment. 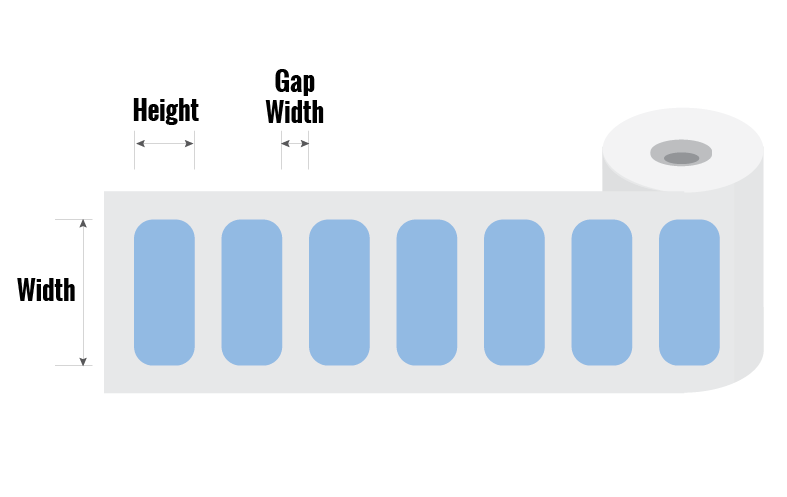 This is how we refer to the width and height of your labels, and the size of the gap between each of your labels when they are finished on the roll.